Marketing your real estate business is a full time job. When you’re not taking care of current clients and guiding transactions to a smooth result, you’re keeping an eye on the future. There are so many tactics to employ to expand your reach, get to know new prospects and nurture the relationships you already have. Sometimes real estate agents fall into a rut of marketing in the same way, over and over. 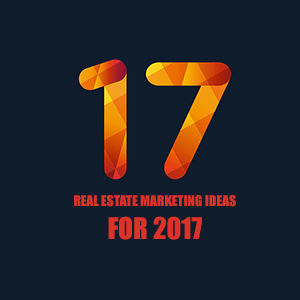 In honor of 2017, here are 17 fun and unique ideas to help you be in your community, establish yourself as a real estate expert and strengthen your overall brand. Buy lunch for a group of public servants. Bring sandwiches for the local firehouse or bagels to your local librarians. Change your voicemail message. Don’t follow the same ol’ format you’ve used for years. Mix it up to make someone smile. Sponsor an event that matters to you. From rescue animals to cancer to children’s literacy, connect your cause to your brand. Don’t just do it once — make it part of your brand for the entire year. You can do this easier than ever through Rockstar Connect. Give a talk! Are you part of an organization? A book club? Chamber of commerce? Offer to speak on your area of expertise. From first time buyers to fixer uppers, bring your experience to the forefront. You can even invite your referral partners to join you, from loan officers to home stagers and closing attorneys. Be a journalist. Interview one of your clients. Talk to your latest seller about what made their home special for them. Or ask a first time home buyer what surprised them most about the transaction. Get back in touch with all your past clients. Run a digital ad campaign everywhere on the web, but only for people you’ve worked with, and thank them for working with you. Have the ad link to a page where they can sign up to meet you for coffee. Do an informal brand audit. Ask your colleagues and clients to describe you in three words. Are they the same words you would use? Is there overlap? If you like what you hear, integrate those words into your branding! Design your ideal client. Create a persona by describing you want to work with. Know everything you can about this person. Then compare your current brand. How would this persona respond to your brand as it is now? Connect your offline world to your online world. Use digital listing ads that look like the Just Listed/Just Sold postcards you mail out. Host a safety day at a local elementary school, where kids can get free bike helmets and the fire department helps parents install car seats. 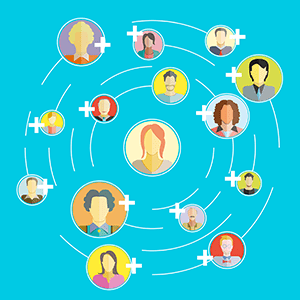 Invite a guest blogger to your site. Who is a local expert that you admire? Who is doing work you respect? Even if that person isn’t in real estate, it’s a great opportunity to offer someone else a chance to be published. Then that person will share the post that lives on your blog. Host an art show in your broker’s office. Find a local photographer or painter who needs a gallery and make an event out of it. Sponsor a movie night. Talk to your local library or chamber of commerce about using a room and play a family friendly movie on a big screen or white wall. Offer popcorn and healthy snacks. Go in on a social media fad! From the ice bucket challenge to the mannequin challenge to a dance craze, get your team to participate. Celebrate a nontraditional holiday. Send your clients Valentine’s Day cards. Or pass out donuts on, you guessed it, National Donut Day. Find some unique holidays here. Host a virtual reality roundup! Learn more about VR for real estate and let home shoppers view homes with Matterport or other content from the comfort of your office.